يعلن المعهد القومي للاتصالات عن فتح باب التسجيل علي منح برامج التدريب المكثف (٣شهور) – المرحله الرابعه في إطار المبادره الرئاسية – رواد تكنولوجيا المستقبل-NTL. المنحه مقدمه للشباب خريجي الجامعات المصريه والمعاهد المعتمده دفعات تبدا من ٢٠١٣. Track 1: Big Data Science. The main objective of this track is to introduce the trainees to the growing field of Big Data Analytics and allow them to practice what they learned on real business cases. This track allows the trainees to learn about the technologies, tools and applications for integrating Big Data and Data Science. Through the track, the trainees will begin to learn the up to date skills for analyzing large data sets. Big data as a special application of data science. How to store, process, and analyze large volumes of transaction data sets. Predictive modeling of big data. Track 2: From Idea to Product (Embedded Systems) – Level 1. This Level aims to qualify the new graduates practically and scientifically, to meet the Egyptian market in Electronics and Embedded systems. It offers the main and most common knowledge and practical experience in Embedded Systems Design. It allows to fully understand the main concepts and mandatory rules to be an Electronics and Embedded Systems Engineer. At the end of this Level trainees will understand and develop technologies behind the embedded systems, become experienced with embedded systems programing, Embedded Linux, and finally transfer their own Idea to Product. C programming language for embedded system. Interfacing and Drivers For a specific Microcontroller (ADC, LCD, UART, I2C, SPI..). 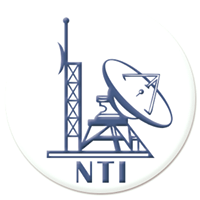 NTI Nasr City and NTI Smart Village. Globally, there were more than a million job openings in cybersecurity in 2016 and the demand for cybersecurity experts has grown three times faster than any other IT role. The shortage of cybersecurity professionals threatens both the private and public ICT sectors. These trends provide both a challenge and an opportunity for Egypt and North Africa. In attempts to defend against the relentless evolution of cybercrime and shifting attack modes, Cisco Egypt today launched the first Cybersecurity Academy in Egypt at Cairo ICT 2017. The Cybersecurity Academy will offer a recognized Cisco Academy certificate and will be obtainable from the National Telecom Institute (NTI) in conjunction with the Ministry of Communications and Information Technology. Cisco Certified Network Association Security. Cisco Certified Network Association Cybersecurity Operations. 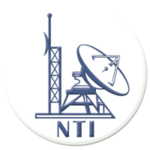 To apply for this job please visit www.nti.sci.eg.